Home » Events » GIES & Expo 2020: Shanghai, Mumbai, Dubai or bye-bye! After hosting the Global Islamic Economy Summit (GIES) and winning the right to host World Expo 2020, let’s blow the dust off from a catch-phrase from a few years ago:Shanghai, Mumbai, Dubai or bye-bye! The GIES showcase, Islamic economy attributes, put-on by Dubai Chamber of Commerce and Industry and Thomson Reuters attracted 3,000 plus delegates at the elegant Mina Salaam Hotel, surpassing the very successful World Economic Islamic Forum (WEIF), held in London in October. Nearly everyone that registered, actually showed up, hence, a larger venue is needed for the next GIES. The presence of His Highness Shaikh Mohammed bin Rashid Al Maktoum, Vice-President and Prime Minister of the UAE and Ruler of Dubai, energised the audience and electrified the Islamic Economy award winners. The presence of Jim Smith, CEO of Thomson Reuters, alongside Shaikh Mohammed, showcased the company’s commitment to the $4 trillion niche market, $1.3 trillion Islamic finance and the $2.7 trillion halal industry. Dubai (UAE) represented a viable alternative to heavy weight competing candidate G-20 countries of Sao Paulo (Brazil), Ekaterinburg (Russia) and Izmir (Turkey). 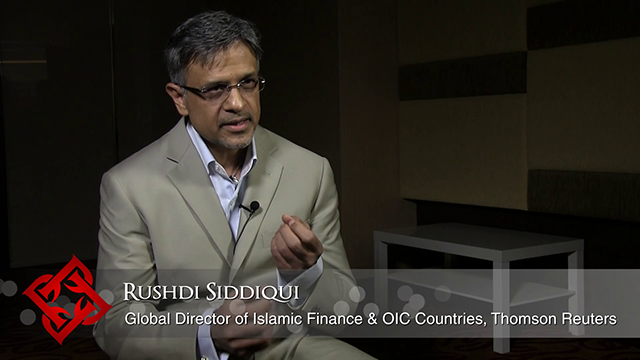 Islamic finance represents less than one per cent of total global banking assets, and the Halal industry, about twice the size of Islamic finance, is a small slice of non-halal industry, yet UK Prime Minister, David Cameron, announced the launch of a £200 million UK sovereign sukuk in October at the World Economic Islamic Forum (WEIF). Thus, size is no-longer out-come determinative! The Dubai 2020 Expo will not be about a glorified Global Village or Dubai Shopping Festival on steroids, but about establishing partnerships, connecting people, and exchange of ideas with aim towards progress via inclusion. The GIES, for the very first time, brought $1.3 trillion Islamic finance and $2.7 trillion halal industry under one roof at a global platform, Dubai. These two niche markets are actually ‘twins,’ as mentioned in the same chapter of the Koran, but separated at birth together,’ hence, needing convergence. Dubai hosting the GIES and winning the right to host World Exp 2020 is about the vision, will and means of His Highness Shaikh Mohammed in establishing a blue-print and path-way forward for inclusion over exclusivity, innovation over imitation, and convergence of ideas over silos of ideology.